Some of these teams will still have lower odds of winning, but what has the sportsbooks worried is how much liability has been stockpiled under each. For instance, the Cubs usually takes a lot of futures action each season, but this year the team actually has good chances of winning, which would mean the payout would be quite large at those opening odds. 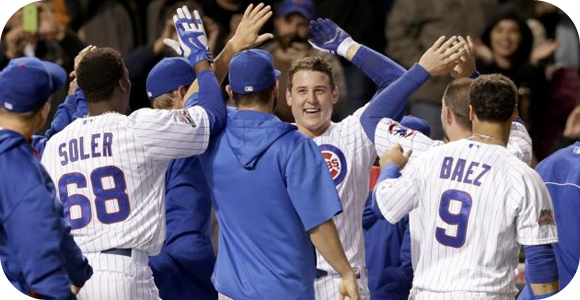 A $100 wager placed on the Cubs, who then proceeded to win the Series, would payout a total of $4,000. Fans don’t usually place $100 bets on futures, but even if it were a $10 or $20 bet, they would still have to pay the winners a lot of money and by the looks of it, there are a lot of people betting on these six teams. Anyone could understand why the sportsbooks are worried, as they may have to pay hundreds of thousands of dollars, maybe even get into the millions, if any of those six teams win the World Series.